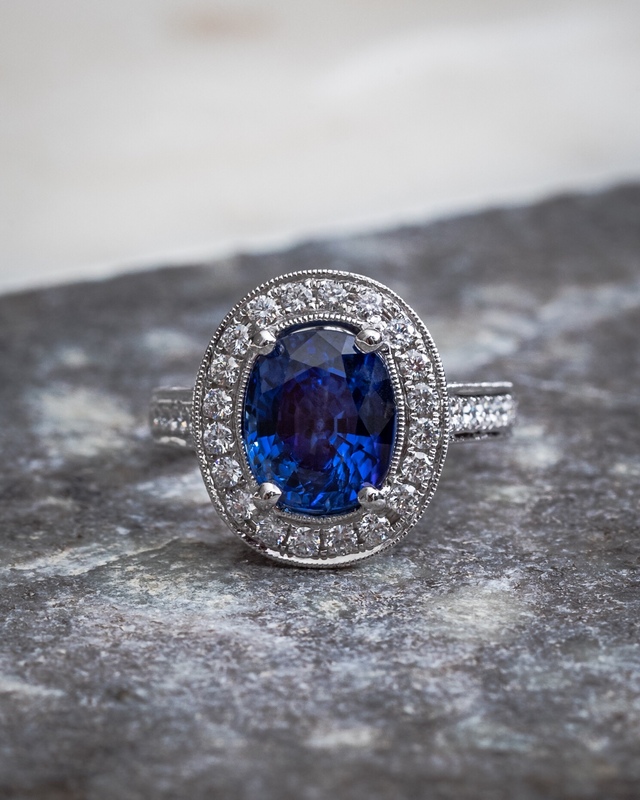 In the world of precious gems, the Sapphire is one of the most desirable stones that can present itself in many exotic colors. September’s birthstone also known as mineral corundum has gone through history picking up some fantastic myths and folklore. 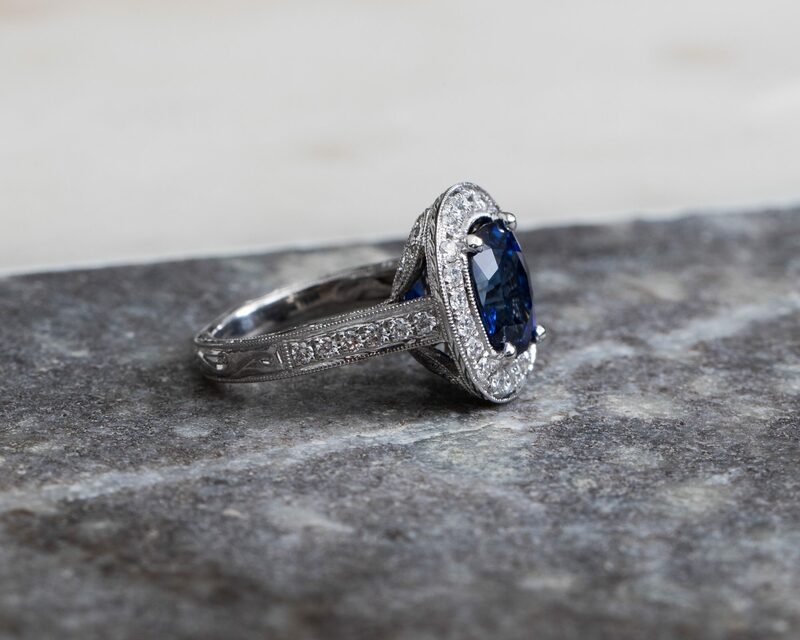 A fun fact about this blue form of corundum is that if it was a the red varietal it would be considered a Ruby at that point and no longer a sapphire! There is an old rhyme that goes: “If on your hand this stone you bind, Your in Tarus born will find…. Twill cure diseases of the mind, The Sapphire”. Interesting enough all over the internet and stories from customers and families have been told that there is a strong relationship to health and astrology as well. Since the Middle Ages, several references have been made to the antidotal properties sapphire may have in regards to poison. 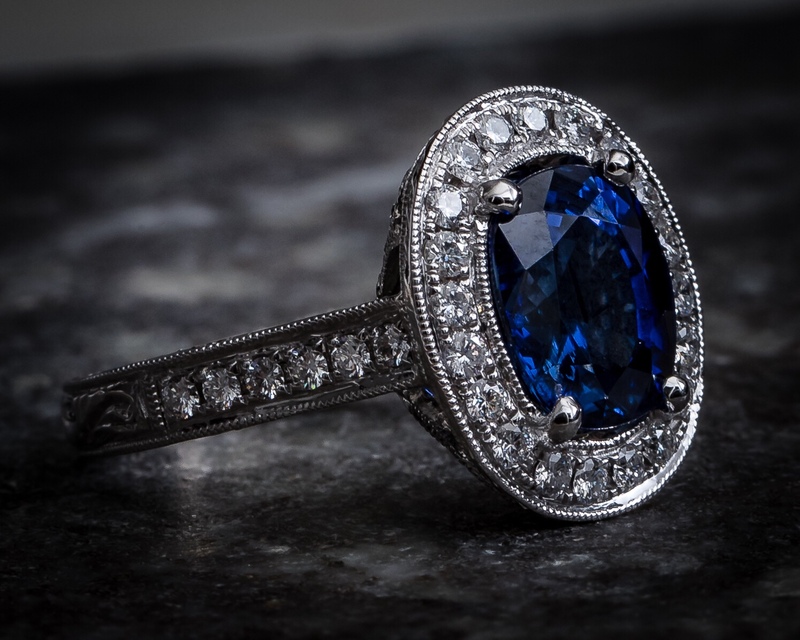 Supposedly wearing a sapphire that touched your skin would make the wearer’s health stronger and ward of illness. The gem comes in a variety of colors, Blue is the most popular and well known globally for sapphires. Recently other colors like violet and yellow shade have been become more and more popular in place of diamonds for engagement ring and jewelry in general. Sapphires are found all over the world with certain geographic origins creating additional premiums. 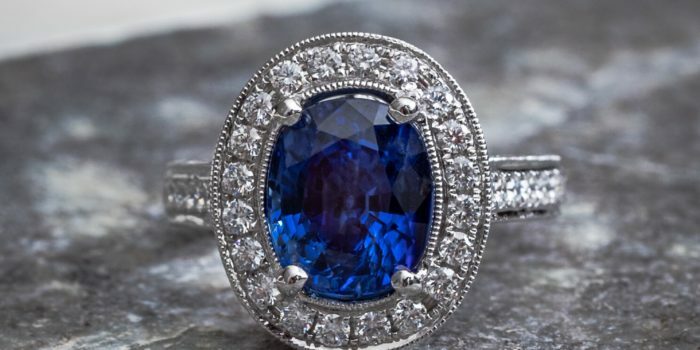 The most desirable origin for sapphires is from Kashmir. Kashmir sapphire have consistently trended up in value, some being traded even at $50,000 use for a gem one carat stone.